Fender has just announced an Australia-exclusive signature Stratocaster for Mark 'Diesel' Lizotte - one of my earliest guitar heroes, dontcha know - and I caught up with Diesel to talk about it. 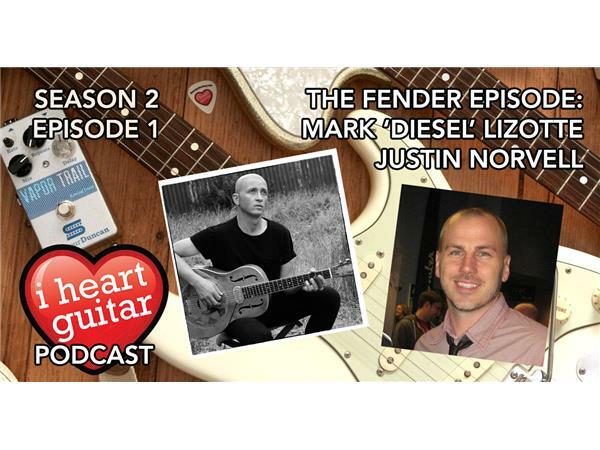 This episode also includes a chat with Justin Norvell, Fender Senior Vice President, where we talk about Jazzmasters, the new Player series, the glory of Fiesta Red and much more. Big thanks to Graeme Walshe at Fender Music Australia for setting up both interviews.